"Are you supporting a poverty ravaged disadvantaged Community ?" It's time to give back ! Do you live, work or have a holiday home in the Overstrand ? 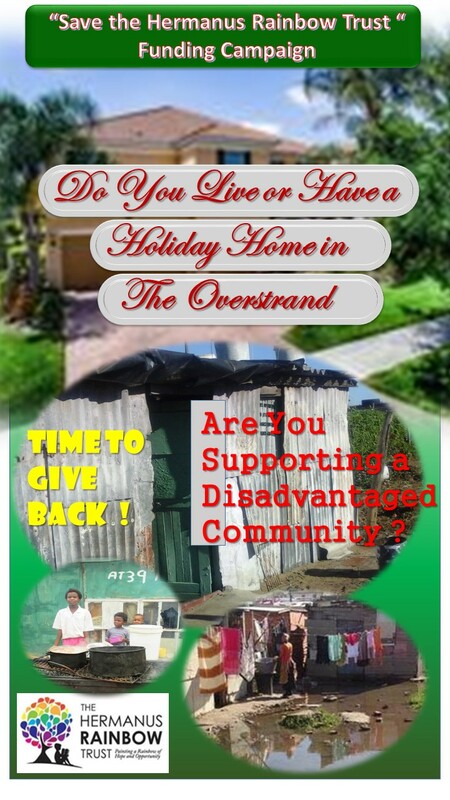 Please look at the services and support that we provide our orphans, vulnerable children and disadvantaged families living in the 5 disadvantaged communities we serve in the Overstrand. Most of our beneficiaries are totally dependent on our services and support to survive on a day - to - day basis. Try to imagine what you would do if you had no job, no family or friends that could support you ?